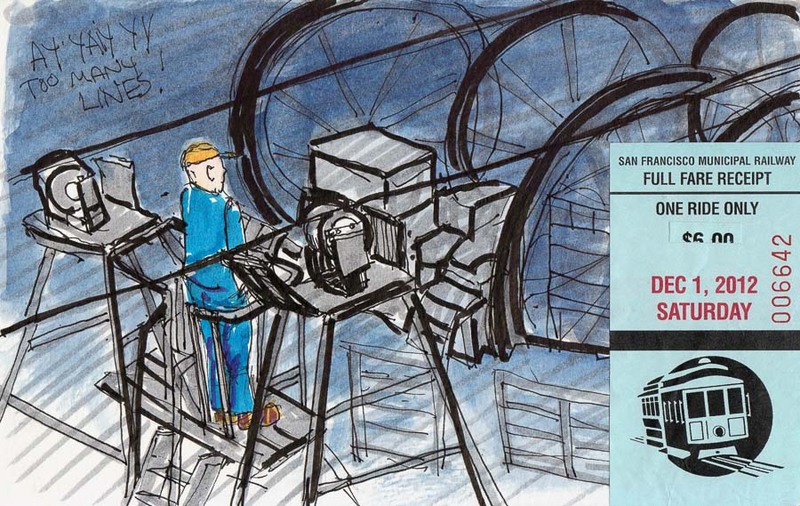 We rode BART and a cable car to the Cable Car Museum in San Francisco to sketch. 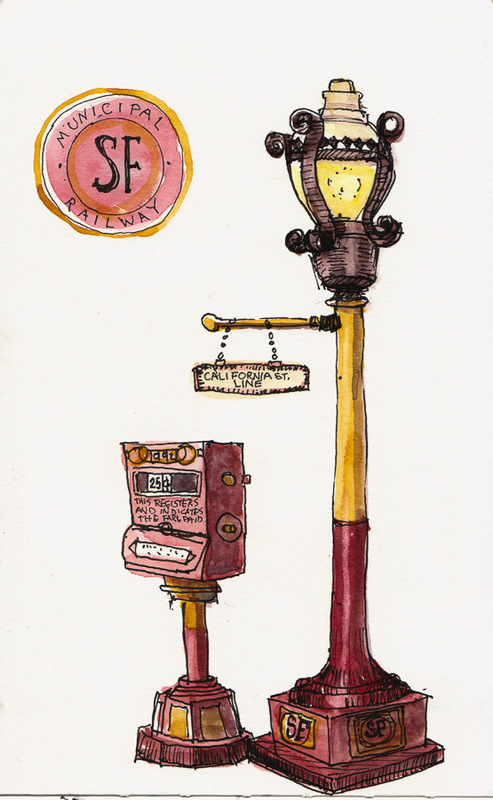 I had to first draw some of the antique street “furniture” on display—an old Cable Car Ticket Machine and a street lamp with cable car line sign on it (California St. Line). The tickets were only 25 cents then. Now they are $6.00 a ride! I was surprised to discover that the museum was built around and above the massive cable system that still runs the cable cars. The guy in the sketch above stands on a platform about 20 feet up to supervise (?) the cables that run through multiple sets of huge gears in the basement level of the building and then go out under the streets to pull the cable cars up the steep hills. It was extremely LOUD in the museum since it’s on a second floor mezzanine completely open to the cable machinery (see picture) so it felt great to get outside again and sketch the brick museum building from across the street. It was a grey, drizzly winter day but never outright rained so we had a great walk back to BART up and down the hills. 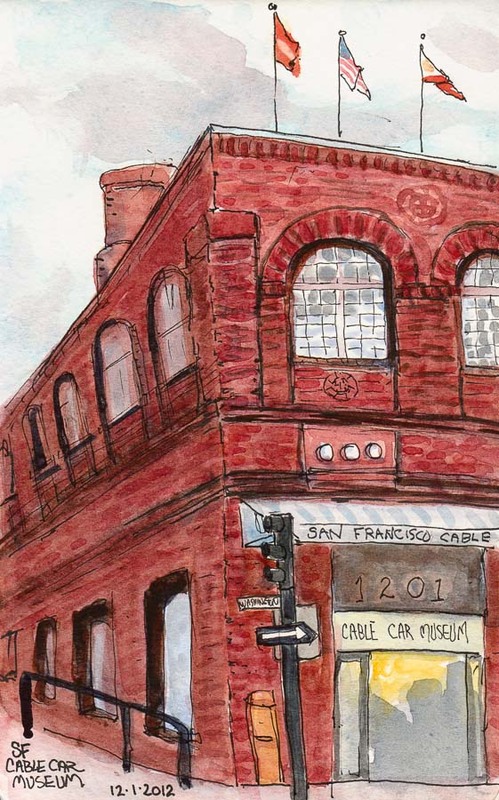 For more sketches of cable cars and the museum, click here to see Cathy’s. Thanks for taking us along with your sketches. I love the detail and liveliness — the ticket machine and street lamp are enchanting. Great line and color.